August 27, 2009 One of my Title I school students said, “We recycle in my house…it’s called hand-me-downs.” Hmn. Since then, I’ve been attuned to the “green is for those who HAVE green” eco-mindset and kept track of echoes in our cross-cultural moshpit of a neighborhood. In part two of our Teens Turning Green piece, I’d asked Shaping Youth 16-year old writing intern Noelle to express herself about environmental issues and ‘buying into green’ from a teen perspective. Since Shaping Youth has a solutions-based focus of marketing hope, I altered the course of her ‘assignment’ to shift into a more insightful ‘what can we do’ teen interview style to find tips on how to get ‘ordinary’ mainstream teens involved, as well as how to discern greenwashing without it being a painstaking, time consuming gig. Why the shift in direction? But it’s important work. That’s why I’m publishing Noelle’ initial paragraph unedited because the deep-seeded angst and powerful prose should answer ‘do teens really think about these things’ once and for all…ESPECIALLY in a generation typecast in media masks and stereotypes of ‘superficiality, narcissism, and consumption.’ Yes. Many teens do. …The air in some cities is so thick with yellow smog that children are confused when they see robins-egg blue skies in picture books. Forests older than this country are being turned into eerie graveyard-like wastelands, while we purchase their remains in the form of Kleenex. It feels like everything we buy is wrapped or cushioned by or made of something that will end up outliving the human species, buried underground in a landfill. With such a destructive lifestyle being deemed acceptable by the government, society, and of course the media, it is unsurprising that most people continue to, at the most, recycle some glass and paper now and then, and donate some old clothes to Goodwill for the tax deduction. Other than that, most continue to live their lives in the same unconcerned fashion that people have and had been living their lives in for decades before the term “global warming” was ever heard of. Ouch. Packs a punch, doesn’t it? She paints a poignant picture summing it’s “a problem so overwhelmingly enormous that it becomes almost unreal, and surprisingly easy to ignore”…a thought that’s washed over many adults regularly, akin to the massive impact of ‘media and marketing’s influence on kids. She talks about experiential wake up calls, (attributing her trip to Mexico City seeing layers of smog to a keener awareness in her own environs, now noticing it everywhere!) and touches on the universal problem of why people ‘talk the talk but don’t always walk the walk’ with an unabashed candor that appeals to my own ‘shoot from the hip’style of authenticity. So I decided to keep her words, but reframe them in an interview style, rechecked with her approval; to pull her ‘solutions-based’ nuggets to the forefront and accelerate the progress of TTG and efforts like it beyond the minority of teens who make up the majority of press and activism in this arena. Here’s Noelle’s view on how to get ‘ordinary people’ to go from spots of green to meadows of green blanketing the earth with renewal and promise. 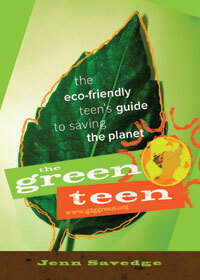 Shaping Youth: Do you think teens make informed decisions while shopping based on whether a product is ‘green’ or not? What can we do to gain mass appeal beyond ‘shoulds’ and ‘coulds’ to ‘woulds’ with youth? Noelle, 16: While information about the environment (what’s wrong with it, and how to be part of the solution) is available all over the internet, in libraries and in documentaries, most teens will never actively seek this information out on their own. The average teen in this country is most likely unconcerned about much outside of his or her personal life; and that goes for the ever-presence of media too. While few teenagers I know even stop to think about the environment before making a purchase, trendy (and accidentally eco-friendly) vintage shopping and antique décor could appeal to a lot of teens, possibly sparking their interest in making more significant lifestyle changes down the line. That’s where I think Project Green Dorm and the TTG Schools initiative is brilliant in aiming at the average teen.They appeal to teens’ fun-loving (and even materialistic side) making “going green” seem like the coolest new fad. It brings information to teens in an appealing way, set up much like a PB teen magazine. With a good amount of publicity I feel like this could inspire LOTS of teens to make informed choices while shopping. BUT…not all teens are going to find these ideas remotely appealing. In order for this great concept to gain more power, it should be mimicked or added to to appeal to teens from all different backgrounds. Shaping Youth: What do you mean by different backgrounds? Interests? Tastes? Socioeconomics or what? 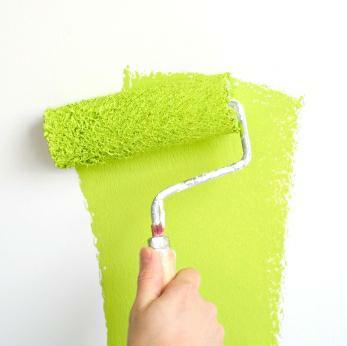 Does Project Green Dorm appeal to you as a teen, personally? Shaping Youth: So as a teen, what would YOU suggest to reach ‘ordinary’ peers not as zealous on the green teen front? How would YOU approach the why go green outreach, via local drugstores and big box retailers with eco-friendly products? Eco-labeling and green essentials are on the rise, but greenwashing is still rampant, so will kids (or even adults) take the time for label literacy? Noelle, 16: Depends…if you make it accessible, affordable, and certifiable. TTG already uses a tactic of suggesting similar alternatives to all things environmentally-unfriendly, so I’m just saying they could take all popular items/styles and pair them with alternative options that are more affordable. Shaping Youth: Ideas there? Partnerships? Alliances? Noelle, 16: Maybe promoting Teens Turning Green with Girls For A Change to reach girls from different regions and backgrounds…focus on the lines they SEE at drug stores and grocery stores instead of places like Sephora. Other green messages are coming out in school more too, with eco-clubs and carbon offset challenges and stuff. Noelle: Walmart’s got their new green label program and Target and Costco and big stores are starting to carry their own lines…but anyone can put an eco-label on something, so how do we tell who’s greenwashing? Shaping Youth: I use “Sins of Greenwashing.org and their annual report from TerraChoice, I also sort out the acronym jumble of labels via Forest Ethics’ and love their annual brand/big box retailer report card, and I’m always amused by EnviroMedia’s Greenwashing Index where people vote for best/worst offenders. All of these do some deep diving into claims, product specifics and larger corporate citizenship. How sophisticated are ‘ordinary’ teens in discerning fact over fiction? Even if they DO read about something being harmful or toxic, what’s the general take away in actions? Noelle: Just like with adults, there’s a VERY small minority who take the time to get into eco-analysis. You said yourself the EWG Skin Deep site turned up some surprises in your drawer, but your daughter’s still using them, right? But do I see her flipping over the ingredient labels each time she buys? Sorta. But not always! It’s lots of peer power and ‘what works’ chat, whether it’s acne breakouts or defrizzing hair. Noelle: That’s a normal teenager. Right there. Think about it. At a time and place where image is vital to a teen’s self-confidence and freedom of expression, it would be absurd to assume that many (if any) would be willing to completely alter theirs in order to save the earth. It would be tragic to see such a solid campaign like TTG wither up and die in the looming faces of price and personal taste though…so I think some of their green alternatives should be promoted heavily as ‘easy to find’ and better choices in retailers. Shaping Youth: Like those wallet card/cheat sheets on what vegetables to buy organic due to heavier pesticides, or which fish have the most mercury? Noelle: Yeah, info that’s easy and small. I’d say a smartphone app, but that’s wealthier kids again…For teens to REALLY turn green with all of their purchases, it has to be easy to understand, affordable, and cool. Shaping Youth: What if TTG or EWG or Campaign for Safe Cosmetics or any of the eco-orgs printed the ‘dirty 30’ toxins on an emery board freebie or locker air freshener or a ‘frequent shopper’ green punch card at a big box retailer? Do incentives work to shift behaviors? Noelle: Any free thing that’s useful is going to get a teen’s attention. Keeping it is another thing. Shaping Youth: What do you think of environmental education in the classrooms like the new NCLI Act Senator Jack Reed promoted in the NYT this week, or eco-literacy efforts for really young kids like we did with Shaping Youth’s peer to peer planet patrol, or Cool the Earth’s assembly kits and enrichment programs for K-8? Do they work to instill lifestyle changes? In my schools there have been lots of stuff surrounding Earth Day and special events, (‘reduce, reuse, recycle’ messages) but fewer hands on projects and challenges like Project Green Dorm or Project Green Prom. There are eco-clubs popping up, but again, until you get the whole school on board and ramped up in the same direction as part of the culture, it’s spotty. Shaping Youth: What about green media? Smartphone apps, virtual worlds like planting trees Dizzywood, green gaming like Habitat Heroes, gaming for good with Elf Island’s polar bear climate change quests, green concerts, Earth Hour activism, that kind of thing? Noelle, 16: I like the idea of a smartphone app but again, how many kids on a free lunch program have smartphones? Maybe a picture of the list they could carry with them, since almost all phones have cameras now. Educating about mobile phone recycling or tech waste and all that could take place on school campuses easily…That’s an easy way to get kids to take action and give parents a convenient drop off. Making it EASY and affordable to go green is key. Just like in China with air pollution and fumes, it CAN be cleaned up, but at what cost, and who is willing to pay? That’s where I think convenience and money comes in…The big box retailers owe it to the rest of us to clean up their own act first…they can afford to. Shaping Youth: Thanks, Noelle…you’ve tapped into some class distinctions and ‘barriers to entry’ for the change we want to see in the world on a larger scale. When scaling socioeconomic outreach to students from different backgrounds, I’d particularly watch out with negative green messaging especially to younger kids…Example? If you start with all the ‘deadly poison’ talk about pesticides and cleaners and inhaling toxins and stuff, what happens to the kid that freaks out knowing their parents are gardeners, housecleaners, and laborers exposed to chemicals everyday? Mindfulness is one thing, but watch the drumbeats of doom and gloom. I’d start with easy student actions like distribution of slightly used school supplies at sites like GreenLockers.org or similarly, ways to source green supplies at hubs like GreenMyLocker.com. I’d also advocate expanding green outreach to already existing after school programs like the Boys & Girls Clubs, YMCA, scouts, libraries, youth groups, to start seeding a greener message, and turn a ‘used/secondhand’ store approach into a positive/forward-thinking eco-spin. From sports gear and clothing swaps to consignment stores, we should be ‘branding’ green and selling value as a virtue, while publicly recognizing Youth Ventures and kids who are making greener choices as being on the leading edge of planet stewardship. It’s much easier to feel GOOD about yourself with an anti-consumption message about living lighter on the planet than a social stigma involving lack of affordability. 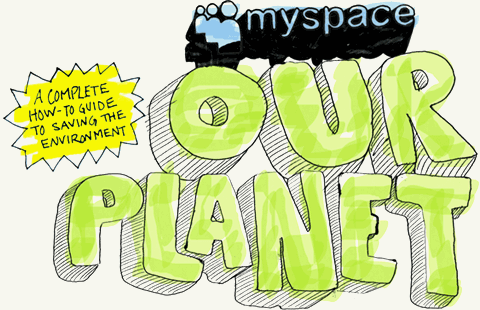 Since many kids are using social media hubs ANYway, why not engage kids to make a difference on the planet with a measurable difference daily? you more or less pretentious than a Prius driver?” etc. Better yet, forego electronic media and go straight to action steps in their new MySpace Our Planet Book: A “How To” Guide for Saving the Planet which is an easy read in kidspeak…I was lucky enough to pick up a copy at the Disney Nature premiere and have used it several times with green teens since. It’s light, fun, educational, humorous and appeals from 8-80+ just as Jennifer Lance says here in her review on EcoChild’s Play about it. 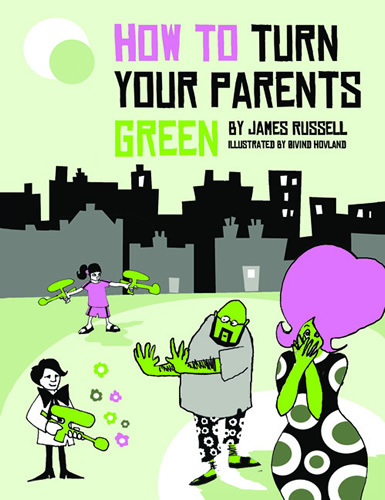 A recent article in the Guardian/Observer in the U.K. says it all, “They’re young, they’re green, they’re militant, they are the eco-kids re-educating their parents.” Eco warriors unite. Highly recommend. Accessible. Simple, grab-n-go eco-friendly tips, interviews with “green teens”, ideas for organizing/communicating eco-change etc. Here’s a solid review by The Crunchy Chicken blog and here’s a very recent review by senior in high school Courtney Bender from Colorado sharing her thoughts on the book. I firmly believe we need to use the media that WORKS to get kids’ attention, as they can easily snooze through The Inconvenient Truth’s laserpointing lectures, but give it a ‘Green Goes Glam’ spin in Teens Turning Green style, and you’ve got a shot at messaging that’s sustainable. 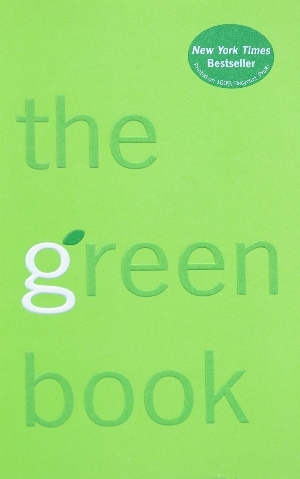 The Green Book: The Everyday Guide to Saving the Planet One Simple Step at a Time by Elizabeth Rogers & Thomas Kostigen Yes, yes, it’s been on the NYTimes bestseller list and made it all the way to Costco in bulk/mass appeal…But I admit I use this one regularly with youth teams because it leverages the ‘starstruck’ appeal of celebs that have gone green. As much as I roll my eyes at the whole EcoRazzi green carpet, or “Celebs Gone Good” it DOES have a refreshing element of role modeling in a positive way and is an easy way to get teens’ attention fast. The book itself is a page turner too, with readable tidbits and quotes embracing small, doable lifestyle shifts that add up to big results for the planet. Easy, digestible data nuggets never overwhelm, and it’s never preachy or whiny which kids AND adults love. Here’s Carly with more on the mission of Teens Turning Green. And the latest Teens for Healthy Schools FREE Toolkit. Want to open a chapter in your region? See this 10-step how-to guide. Before anyone buys into “green” check the ingredients on the label agains the http://www.cosmeticsdatabase.com It may have a pretty green leaf on it – it still most likely will have chemicals back ended into it. http://www.AvaAndersonNonToxic for informaton and truly non toxic product. The very first line of “all zero’s” s coming soon! Our goal at Planet Connect is to spur environmental interest in high school students around the country. Focusing on providing green grants, college and career information, we are trying to increase the environmental spotlight on the leaders of tomorrow. We have just publicly released our new Planet Connect 2009-10 Student Grants. We will be providing up to $1000 for the best environmental projects that strive to impact a student’s community and environment in a positive manner.